With an academic background originally in economics and political philosophy, you have to excuse the open mike opportunity jazz saxophonist Kyle Nasser takes to talk a bit about philosophical differences between tonal jazz compositions, counterpoint, harmonic experimentation and the question of original music. He is just a naturally curious human being with a mind that won't be quiet. 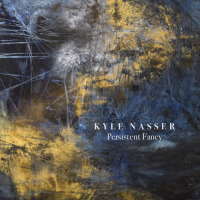 Fortunately, his new CD release Persistent Fancy(2018, RAD) offers much of this same inquisitiveness, and adds room for a whole lot of experimentation to wonderful musical effect. 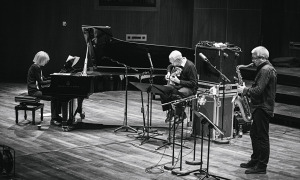 Along with this musical voyage was his sextet of bandmates; Roman Filiu on alto saxophone, Jeff Miles on guitar, Dov Manski piano and synth, Nick Jost on bass and Allan Mednard on drums. 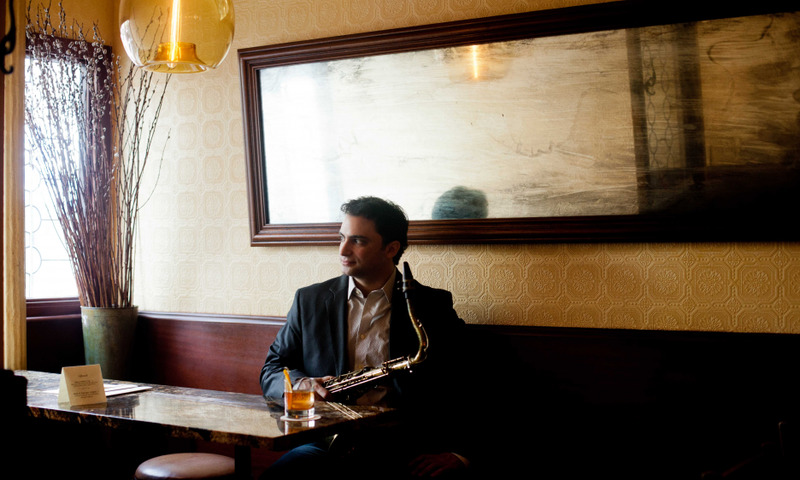 In the Red Room at Berklee's Café 939 in Boston, saxophonist and composer Kyle Nasser's treated an intimate crowd to a full rich variety of densely structured classically-influenced jazz compositions from his new release Persistent Fancy. 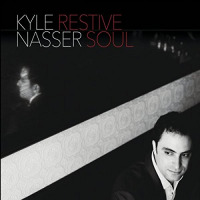 After graduating from Harvard in 2010, and finding a track back to an earlier jazz background, Nasser received a full scholarship at Berklee College of Music for performance and education. 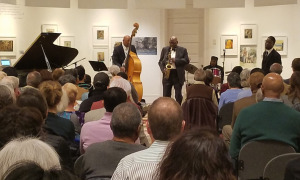 His musical experience began in his youth with clarinet and saxophone lessons received from family friend and musicians Al Oliveira and partner Jack Radcliffe and later playing in the Bedford High School's jazz band, but with an obvious inclination to compose and perform. 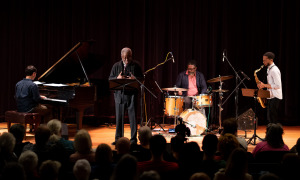 Crossing paths with iconic pianist Hank Jones helped lead him down a final path of musical commitment to his instrument and the intellectual and emotional journey undertaken. 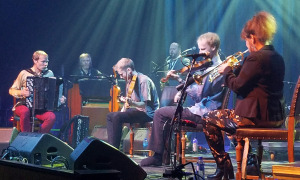 Persistent Fancy jumps around a variety of jazz styles that are often bearings Nasser has taken from classical musical territory. Particularly with the title cut, Nasser is examining the structure of classical movement, with 3-part suites that "straddle the boundary." In particular, the "Baroque Suite" inspired by Shostakovich's Preludes and Fugues, and "Eros Suite" tracing the stages of desire from "initial attraction through consummation to reflection." As the MC at the mike for the evening, Nasser treated his audience to creative parallels of compositional knowledge related to classical music and jazz. 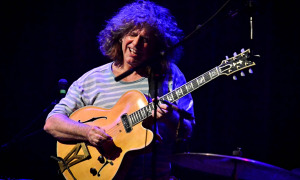 But as with any piece of jazz music, and a mix of listeners, the proof of accomplishment was in the listening, and the layers and movements and change in tempos gave credit to all musicians on stage and satisfied the ears, while also recognizing the complicated nature of stringing together all the parts live. Several other compositions showed-off different styles and approaches to jazz material in Nasser's hands and other instruments. 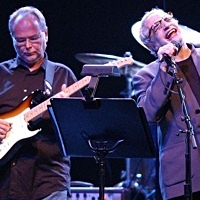 Particularly attention- grabbing was the McLaughlin-like distortion guitar interplay by Jeff Miles, whose dexterity and emotion came through in mood invoking effects on "Split Gut" and the surging "Arrival." 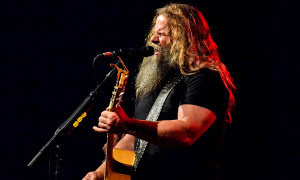 On a more rock-driven tempo, "Sticky Hipster," both Pianist Dov Manski and bassist Nick Jost shared intense exchanges before passing the reigns to Miles for high flying shredding riffs across his fretboard. 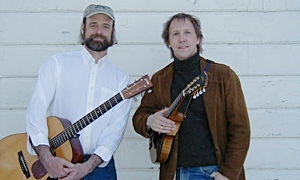 The entire release of Persistent Fancy was played that evening and reached its audience by balancing both intelligent, complicated compositions with soulful artistic flowhow often do you hear a 3-part jazz piece ("Eros Suite I Prelude," "Eros Suite II Desire," "Eros Suite III Postlude to Desire") that merges classical arrangement with a theme of carnal stages of desire? All in all, a sure sign that Kyle Nasser will be taking many more musical journeys and with further compositional reflections and always with intellectual questions to be asked.